It takes a skilled gatekeeper to protect personal healthcare data. Kimberly Gordy’s practice focuses on the healthcare industry, with an emphasis on healthcare privacy and data security, breach response, and Health Insurance Portability and Accountability Act (HIPAA) compliance. Her background grants her insight into the latest advancements in information technology, a nuanced understanding of privacy law and a comprehensive understanding of healthcare operations. Kimberly has provided privacy counseling and breach response to a range of healthcare entities, including academic medical centers, emerging companies and healthcare startups, and long-term care providers. 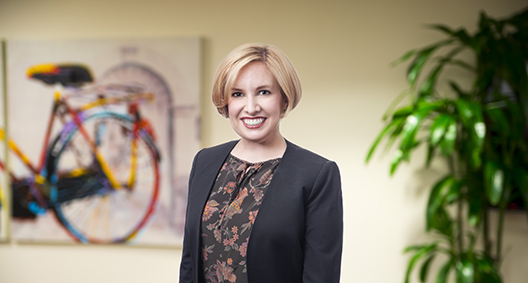 A trained clinical ethicist as well as a lawyer, Kimberly enjoys working with clients to navigate the intersection between legal risk mitigation and everyday healthcare operations. She has extensive experience in government and internal investigations, and regularly advises clients on fraud and abuse issues and employment-related healthcare matters. Her work on patient consent is published in the Yale Journal of Health Policy, Law, and Ethics, and she is a frequent speaker on issues related to privacy, long-term care and employee training. Counseled clients on federal and state law matters related to privacy, fraud and abuse, and reimbursement. Advised long-term care providers on matters related to privacy, Fair Housing Act compliance, state-specific regulation, ethical and policy issues related to resident autonomy, and employment issues. Counseled emerging companies and start-ups on privacy compliance, the role of a business associate and mobile technology related issues. Advised healthcare clients on privacy considerations unique to mental health, pediatrics and clinical research.